PC INSPECTOR™ File Recovery 4.x is a data recovery program that supports the FAT 12/16/32 and NTFS file systems. 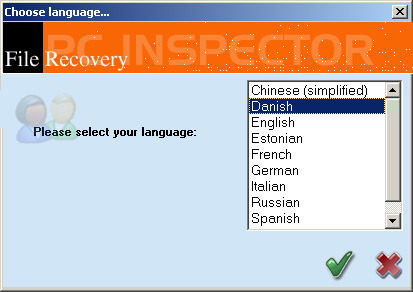 PC INSPECTOR™ File Recovery 4.x is so-called FREEWARE. This means that the software does not cost you a single penny. All you have to do is go to our download area to download the latest version of PC INSPECTOR™ File Recovery 4.x.